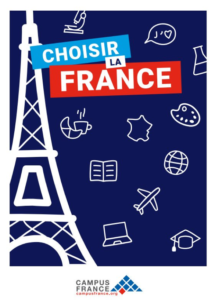 What should I know before going to study in France? Study in France –France is very well known as one of the favorite destinations of students, there are more and more young people who enroll at French universities in several cities, the first ones being – Lyon – Grenoble – Toulouse – Montpellier. It is true that life is enjoyable for these students, they find so many opportunities to motivate them to study there. Among a long list, being able to get a student job is relatively great, which is forbidden for example in the USA, an easy access to health care, the very low fees of universities, etc. In this article, we present the key stages to prepare its departure in France, some dates and precise information on the compulsory administrative procedures for foreign students. Before anything else, it is imperative to prepare and to know what studiesyou want to start. It consists of knowing the field of study in which you would like to go (Law, Architecture, Management, Journalism, Communication, etc.) To ask yourself the right questions, to what job am I going to go in the future? What diploma do I need to have to end in the company I like. There are many students who enroll a training in their 1st year and realize afterwards that it is not really what interests them, they change often then to another field of study. There are very interesting search engines by training, in particular CampusFrance, who helps to choose the right training, the school or the university which will correspond to every student. There are also online websites providing lot of information about everything that concerns students in France like Studenjoy. Studenjoy also supports and guides, through physical conversations the students to know exactly what they should do and can even take care of the enrollment process. Foreign students, are often required to go through platforms dedicated as CampusFrance or Parcoursupto prepare a good registration form. On these sites, the student will clearly have to indicate his wishes, speak about his studies plan, send his last grade reports, a diploma as well as a Certificate in French language as the TCF. Then, the student will have to wait for a final confirmation of registration with the chosen schools. The student then asks for his student visa, and depending to its country, show his financial capacityto live in France, it often consists in putting an amount of money in a bank account for at least the first year (5000 euros in average for the whole year). Students can also be asked depending to their country to have a guarantor in France, this one will have to hand on certain documents, as his pay slips and\or his tax notices to prove his capacity to take care of the student in bad situations. Finally, or almost, an accommodation, (housing) is necessary to obtain the visa, a hosting signed document, a room reservation or a lease of rent is for certain citizenships compulsory to complete the process. It will be necessary to pay at the end some set-up fees for CampusFrance, to send the application and get the final interviewfor the student visa. Attention: these platforms have precise dates of opening and closing. CampusFrance Morocco for example starts applications in November until January for universities and in March for business schools and engineering, APB, BTS(TWO-YEAR TECHNICAL DEGREE), etc. And of course, the departure! After obtaining the student visa, freshmen are quickly confronted with a new big challenge, the moving process! Very often, the consular procedures take quite some time and the young students start hurrying, they have to take the plane,find an accommodation, furnish, subscribe to various necessaryservice providersto have access to electricity, gas, internet, the house insurance, open a bank account, take a telephone line, … All this, by preparing the start of new term! Studenjoy takes essentially care of these students during all these stages, helping each one closely, explaining to students what to do from the student visa to finding them an apartment. It allows the student to save time, lot of money and to their relatives to be reassured during this big stage of life.